The sun was shining, the familiar feeling of achy calves set in and I slowly started my descent down the snow covered piste..
After a year off, I was delighted to be back in the mountains and after a hectic week I was in the mood to unwind. I was also very much in the mood to eat whatever took my fancy, catch up on sleep and spend some time with my loved ones. 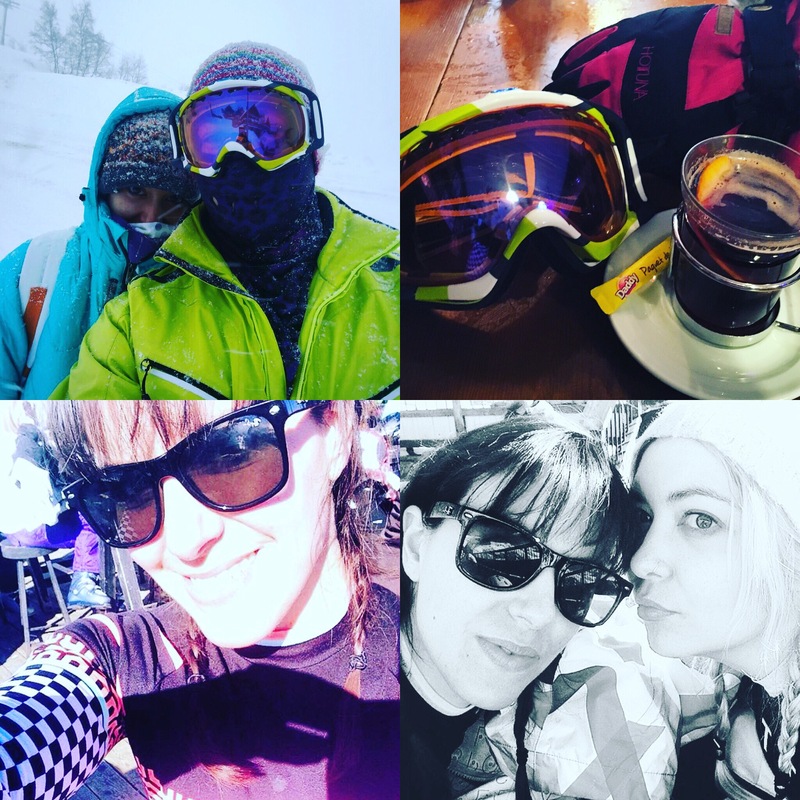 We had last visited Alpe D’Huez in 2014 and it was a success due to the fact the resort offers something for everyone in relation to skiing. My father and G were able to explore the black pistes and off piste sections, whilst my sister and I skied down significantly more moderate terrain. My family and I are not known for our outstanding sense of direction, don’t get me wrong I can track cake within 20 paces, however don’t ask me to navigate. Somehow, whilst trying to return to the main ski lift home Dad and I found ourselves skiing down a long enjoyable red piste. Only to realise we had gone completely off track and having to beg the lift operatives to allow us in the cable car, after the official closing time! The sun was shining, with pink cheeks and a cheery smiles my sister and I found ourselves caught in the mist of a party on the piste. Drinks were flowing, entertainers and fellow visitors danced on tables, I was high on salted peanuts and diet coke. Sarah was researching the local beer and laughing infectiously, I may have wondered more than once how I was going to get her back down the piste! G and I have a skiing tradition of always enjoying a fondue. There’s something wonderful about finishing a long day in good company and dunking bread into pools of melted cheese. Paired with traditional cold meats, salad, pickled onions and gerkin’s, followed by a crepe smothered in melted chocolate. I was worried that G would have to carry me home, however I didn’t need to worry as I was doing a pretty good job of falling over in the street anyway! As you can tell, my paleo way of eating went completely out of the window for the week. I would start the day with oats made with protein, coconut milk and topped with nuts, coconut, nut butter and if I was being really indulgent chunks of Lindt salted caramel chocolate. Being authentic is really important to me, so I feel it’s best to share that sometimes I found skiing really tough. The problem was all in my head, and that’s the worst possible situation. I went away exhausted, I then spent time creating problems in my mind which stopped me from always being able to relax and ski as confidently as I should have done. 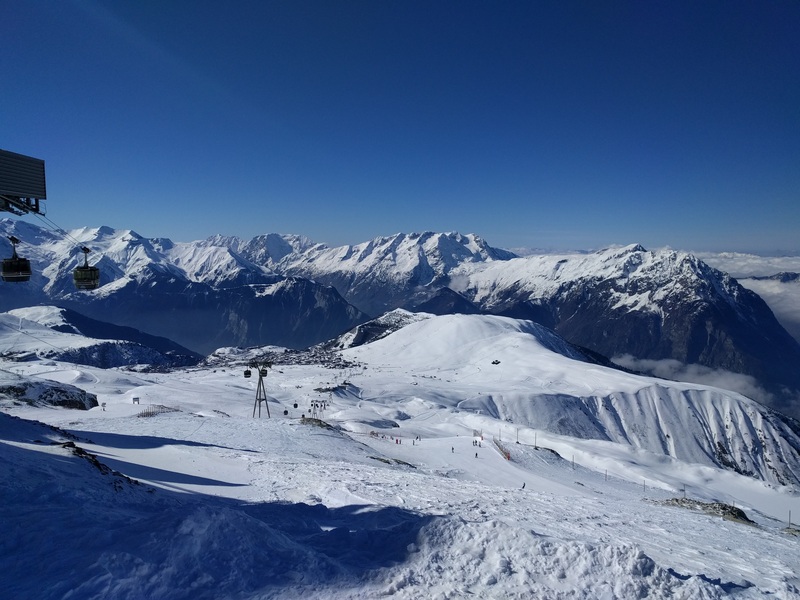 If you were looking to book a ski trip for a group of mixed ability, whilst remaining reasonably budget friendly I would recommend Alpe D’Huez. There are plenty of little shops, bar’s and bakery’s plus a few supermarkets if you wanted to self cater (which worked really well for us) and you can ski in and out. Do you ski? Do you stay on plan whilst on holiday or eat as you feel and relax? Have you seen my running mojo? Looks GORGEOUS! I definitely don’t eat healthy at skiing- the hot chocolate and cheese are two of the best bits!